The Clean Air Act 1993 will mostly concern residential communities where there may be food preparation businesses nearby, such as fish and chip shops and other takeaway establishments, local factories which produce smoke, farms and neighbours who build bonfires. For the most part, the building of bonfires by neighbours will usually be covered under the Environmental Protection Act 1990. 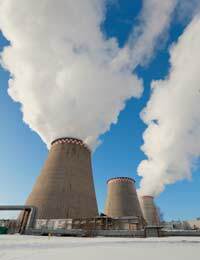 The Clean Air Act 1993 contains specific legislation to deal with issues such as the height of chimneys on trade and industrial premises, the operation of furnaces, problems caused by dark smoke and the use of authorised fuels. Where you see a plume of dark smoke, this normally signifies that materials which are non-organic are being burned and, therefore, environmental pollution is being caused. The items which are commonly associated with producing dark smoke include, but are not limited to, rubber, plastics, densely-packed wood and wood which may have been painted or treated. A person or, more usually, a company which is responsible for the production of dark smoke is liable to receive a fine which can be for as much as up to £20,000 under the Clean Air Act, and it doesn’t necessarily have to be thick, black smoke either. Most residential areas will be covered by what is known as a ‘smoke control area’ where the main purpose is to reduce the pollution from chimneys by prohibiting the use of coal and wood on open fires in these areas. If you are living in a smoke control area, only authorised fuels (more commonly referred to as ‘smokeless’ fuels) are permitted, unless you are using an ‘exempted appliance’. It should also be pointed out that in many rural communities, some locations are not classed as ‘smoke control areas’, so having a coal or wood fire at home is permitted. Authorised fuels are those which have passed the Statutory Instruments (Regulations) which are contained within the Clean Air Act. These include gas, electricity, anthracite and others which are predominantly smokeless fuels, along with specifically manufactured brands of solid smokeless fuels. All of these types of fuels are always subject to rigorous testing first to ensure that they have been passed fit to be able to burn in an approved appliance without producing smoke. Exempt appliances cover the likes of stoves, ovens and wood burners which have been made exempt under the Statutory Instruments (Orders) contained within the Clean Air Act. These types of appliances will have had to have passed tests to prove that they are able to burn unauthorised or ‘smoky’ types of solid fuel but without emitting smoke. These exempt appliances include any fireplaces that have been designed or adapted for the combustion of liquid fuel, fireplaces made after 31st December 1956 and installed before 1st May 1970 that are equipped with mechanical stokers, and any fireplaces with heating capacity that exceeds 150,000 British thermal Units per hour that have been installed after 31st December 1956 and are equipped with mechanical stokers. DEFRA is the government department you’d need to go to if you if you wish to submit an application for an exempted appliance. Under the Clean Air Act 1993, the legislation which is in place should fundamentally ensure that, as residents, we are all capable of living in a clean environment where we will not be exposed to the dangers of excessive and damaging smoke. However, if you're concerned about pollution due to a Neighbour's Bonfire, more details can be found in another article contained within this website. I live in a flat and am being kept awake by another tenants loud TV. They have it on all night from 10.00pm until 5.00am next morning. I have had the council in to monitor the loudness level but they say it isn't loud enough to do anything about. I also don't know if the noise is from the flat above or below my flat. The TV is situated in a room which is either above or below my bedroom. It could be that a person is renting a bedroom in a flat as a room is watching TV allnight and don't know that it can be heard in my flat. They obviously don't think about the fact that other people do go to bed to sleep. They are a lot of selfish people that don't care about anybody than themselves these day. Question please. If an exempt appliance is used to burn green wood, ie wood that has not been kiln dried or properly seasoned, whilst doing so produces vast amounts of smoke out of the chimney.., is the appliance no longer exempt? You say It's only exempt if it burns authorised fuel, ( is green wood an authorised fuel ? ) without producing smoke, so if it does produce smoke, shouldn't the EHO act accordingly ? We too have problems with neighbours smoking cigarettes and weed in their garden we cannot open our windows to let air in as it drifts through windows also when neighbour cooks the cooking smell stinks our first floor maissonette out terribly I opened the comunial doors and windows outside and get a mouthful of abuse from neighbour who lives below us our flat has an upstairs and Downstairs and there's no air vent or window on landing so strong cooking smells stick in that area the only way to clear it is to open the comunial door for roughly an hour. Underneat. My stairs to our bedrooms is the comunial so any smells run up stairs council told me not their problem. Speak to your landlord about the possibility of introducing a no-smoking policy in the communal areas and to investigate the extraction issues. We too have problems with neighbours smoking cigarettes and weed in their garden we cannot open our windows to let air in as it drifts through windows also when neighbour cooks the cooking smell stinks our first floor maissonette out terribly I opened the comunial doors and windows outside and get a mouthful of abuse from neighbour who lives below us our flat has an upstairsand Downstairs and there's no air vent or window on landing so strong cooking smells stick in that area the only way to clear it is to open the comunial door for roughly an hour. Underneat . My stairs to our bedrooms is the comunial so any smells run up stairs council told me not their problem. I am a 70 year old pensioner, As a builder I enlarged my house I purchased around 12years ago. Lovely area,great position. Was enjoying my life here were I was born. Then about four years ago my neighbour about three years ago decided to install a wood burner. Since the my life has been a nightmare.I have been dealing with this with the local environment health people for four years now to no avail. They are useless .Every year from aroundNovember to spring I cannot have my bathroom window open or my toilet window when this is happening.the smell of smoke comes into my house even with windows closed. I've filled nuisance diary forms in so the O.E.H. know when this happens and are supposed to view problem. They have been round but never when the problem arises I've used recommended out of hours number no one responds. I've showy them video footage taken of smoking flue with black smoke emitting from it,they say that it is not evidence, they must actually view it happening. I asked one officer on the phone one day what happensnow I've filled In nuisance forms,she replied we've been round to see neighbour ( person causing problem) what you fill forms out for is.so they visit you to view the problem In this case unfortunately the neighbour used to work for the local council in the department. So it's the" old pals act" . This year I've. been told by e:mail by the local environmentchlef they can no longer help me so case closed. We live next to a public 'open space' and within 8 metres of a 'kick-about' goal apparatus that has 'rebound' boards and steel mesh on it. The sound of children playing is not really an issue despite some of the language that gets used - our problem is with the banging sound that the ball makes from foot to rebound board and the crashing noise the ball makes when it hits the mesh - they might as well be kicking it against the wall of our house. It is incredibly loud, repetitive, and very stressfull. We have a nice outside space but cant enjoy it when they're playing kick-about. In the nicer weather we have to shut the windows and turn-up the volume on the tv. We are early risers 5AM because we commute a good distance and so like to go to bed as early as 9.30PM - in the summer the kids can be out as late as 10pm kicking the ball. Whilst the apparatus was insitu when we moved there it was actually installed whilst our property was unoccupied as part of a local private development,and it really wasn't used much (to any effect anyway) in the first 9 months. The actual sound level given by the ball and board impact I have monitored as high as 90db. The local authority seem to be making it difficult to find a way forward despite my offer of a financial contribution to it's removal/relocation. Any ideas? It is a local authority provision? If so, and you've already tried contacting them/offering solutions with no success, there's not a huge amount we can suggest. Are there any additional sound proofing measures that you could implement to your own property? Such as thick planting etc? Are other neighbours experiencing the same problems? If so, could you get together and ask your MP or councillor to look into options for you? we live next to a public 'open space' and within 8 metres of a 'kick-about' goal apparatus that has 'rebound' boards and steel mesh on it. The sound of children playing is not really an issue despite some of the language that gets used - our problem is with the banging sound that the ball makes from foot to rebound board and the crashing noise the ball makes when it hits the mesh - they might as well be kicking it against the wall of our house. It is incredibly loud, repetitive, and very stressfull. We have a nice outside space but cant enjoy it when they're playing kick-about. In the nicer weather we have to shut the windows and turn-up the volume on the tv.We are early risers 5AM because we commute a good distance and so like to go to bed as early as 9.30PM - in the summer the kids can be out as late as 10pm kicking the ball. Whilst the apparatus was insitu when we moved there it was actually installed whilst our property was unoccupied as part of a local private development,and it really wasn't used much (to any effect anyway) in the first 9 months. The actual sound level given by the ball and board impact I have monitored as high as 90db. The local authority seem to be making it difficult to find a way forward despite my offer of a financial contribution to it's removal/relocation. Any ideas? The British are too soft with the unruly types, we all have rights and I for one am sick of being treated like I don't matter. I have persistent put up with a couple above me stamping back and forward across my ceiling and slamming doors, not just occasionally but three or four times in a row. This happens every single night flakes of paint come off my ceiling and the flat shakes. I was told to approach them which I did,it quietened down for a couple of months then started up again I sent them another letter a week ago and even bought a box of biscuits, they put two fingers up and the stamping and slamming of doors has been relentless, lasting from midnight until four o' clock in the morning. So much for being polite!! If I could do it my way they would stop immediately and learn some manners. I am a victim not a whinger, I want my sleep!! There were questions asked about cigarette smoke drifting through the windows, but could't find an answer. If the amout of cigarettes smokes exceeds 100 per evening, 3-4 people smoking just next to the fence at their garden doors, our house is full of smoke the minute we open the rear door or windows. They also have a saniflo working every 15 minutes and washing machine is run 3-4 times a day. These people are always in the garden, talking loudly. It has started affecting our health as I have stress related hives and eczema... Please help, is there anything we can do? Neighbor in charge of the 1978 covenant restrictions denied my detached garage even tho he verbally agreed. Once the footer were poured and a ton of money there after, he said if I built it he would have me tear it down. Now the game begins, I requested a car port and it was shot down. I requested a carport to be attached to the house and it was shot down. The restrictions state that it has to be attached and of the same materials as the exsting structure. OK, wood and shingles, yet he has a brick house and added a room addition to the back with no problem. I called the county and they said he did not have a permit. Can I sue this guy in some way shape or form before something bad happens here? Our neighbors are cigarette smokers but they only smoke outside in the area adjacent to our joint boundary.As a consequence we cannot open our conservatory doors when they are out smoking as the smoke drifts from their property (to the west of us) into ours causing a very unpleasant smell and, presumably subjecting us to the effects of their second hand cigarette smoke. What are our rights ? This is the 3rd time in row we have had nightmare neighbours! The house next door is been rented by supposedly 2 men & 1 woman. It's more like 4/5 men and 3 women. They play music all day and night, they have bbq's constantly, making it extremely difficult to hang out the washing. They shout all the time, (I think this is a cultural thing) and every weekend and sometimes weekdays they have parties! My husband works nights and he often looses out on sleep due to the noise. We have contacted the letting agents and complained, but all they seemed interested was the fact that they might be subletting. Is there anyone else that could help me with problem? Yes if the noise contiunues into the night or is constantly excessive during the day - to the extent that you would definitely say it's interfering with your enjoyment of the propertyyou should try your local environemental health dept. This is the 3rd time in row we have had nightmare neighbours!The house next door is been rented by supposedly 2 men & 1 woman. It's more like 4/5 men and 3 women. They play music all day and night, they have bbq's constantly,making it extremely difficult to hang out the washing. They shout all the time, (I think this is a cultural thing) and every weekend and sometimes weekdays they have parties! My husband works nights and he often looses out on sleep due to the noise. We have contacted the letting agents and complained, but all they seemed interested was the fact that they might be subletting.Is there anyone else that could help me with problem? Our downstairs neighbour plays loud music constantly and we have complained several times to our local council and they come on the day to see the noise levels but coincidently when they do come she no longer plays loud music, but once the council people leave she starts playing really loud music again. Her music is so loud to the point that our heaters and floor vibrates. To make matters worse we can't hear the T.V at times and is even more difficult for me as I have hearing loss in one ear and I have tinnitus which does not help. But the council says that they can't do anything as they don't hear anything when they come and that they can not take action until they believe that they should and that the noise level is intolerable. But she never plays loud music coincidently when they are present only when they leave and it seems they do not believe us and this has been going on for 9 years now and it has become very difficult to live in the flat above her now. Sometimes she even plays music early in the morning when people want to sleep and late at night which is difficult for early risers who have to go to work, school or Uni. My neighbour below has installed a wood burning stove and its flue is only 3 meters from my large windows. The fumes stink and enter the windows.Environmental department says it is only a nuisance and wont act until someone is ill.
@juliad. It should not be dangerous (steam and carbon dioxide) but - ask a corgi registered engineer to come and take a look at where the vent is. They'll give you a good idea on whether it's in a legitimate place or whether there's an alternative (e.g going further vertically etc). My neighbours flue is in my yard fumes come in though door an windows and fill the yard is it safe for my children? My neighbour burns any wood they can get hold of on their wood burner including pallets and discarded roof timber. The smell. Is unbearable and as early to bed people we can't leave the windows open in case more wood goes on the fire during the night as it irritates my breathing. From 3.30 onwards everyday we get smoke but more worryingly the smell of burning chemicals. Neighbour has taken offence when I asked if they were burning treated wood. Help! My self and my neighbours are experiencing excessive dust, noise and vibration from a waste management site that has been licensed next to our homes. This site sorts waste material from skip using a trommel and there is always at least a 20 foot pile of waste material waiting to be processed. My question is; is there any legislation to protect us from this? As we have elderly, disabled people and infants living along side this.